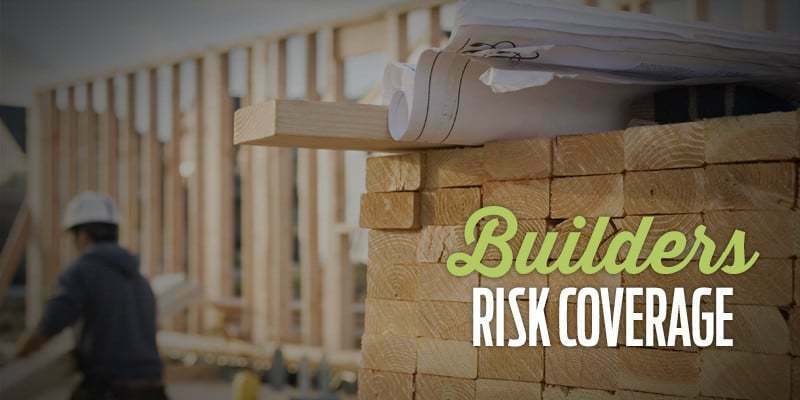 The builder’s risk insurance provides valuable protection against potential losses on your building project. It is a specialized insurance coverage which could be unfamiliar to many individuals and also the experienced insurance experts. All the building owners, engineers and building contractors should be aware of the builder’s risk insurance in order to get the maximum protection while working on their job sites. We can help you arrange Builders Risk Insurance (BRI) across Ontario, Canada at the cheapest rates. Rates start from $2,000,000 at $650/Year. This risk insurance will protect your building property, in fact it defined as the focused coverage which protects a company or a person insurable interest in the fixtures, materials and/or equipment being used in the renovation or construction of building project or such items get physical damage or loss from the covered cause. This risk insurance should be attained by the building contractors who are performing the work in the construction site along with any lending institution, owner, and any other third party that can potentially be sued. Saying that, the material suppliers also have insurable interest in the construction property used in the project but and are not usually candidates for the builder’s risk insurance. How to get the builder’s risk insurance and how does it works? Moving into the newly renovated or constructed building is definitely an exciting time for everyone. During the construction process, there are several considerable risks that may happen. This is why it is always best that the building owner buys builder’s risk insurance policy before starting their project and constructing it securely. It might be wind, fire, vandalism, theft, lightning and any other hazards that can damage your building and/or construction site while working. In order to protect yourself and your business of all of these inconveniences and sudden risks, everyone in Ontario should need to consider getting the builder’s risk insurance. What are the benefits that you will get from a builder’s risk insurance policy? Damages to the surrounding property not forming the part of the contract work. If you are living in Ontario, Canada and started or going to start building construction there, you should need to consider getting this builder’s risk insurance policy to protect your entire construction work. There are so many numbers of companies available to offer you this kind of the risk insurance for the building contractors. But you should pick the best and trusted one, such as Intact Insurance, which will greatly cover everything that requires being protected in your project. This builder’s risk insurance coverage is also known as property insurance. This form of insurance policy will cover the building which is currently being constructed in any part of Ontario, Canada. It can able to cover the entire building structure and also the materials which will be used for the construction work in the future. This insurance policy will actually pay for the damages up to the maximum coverage limit defined on the policy. This coverage limit should accurately reflect the total completed value of the building structure including labor costs and all the materials used but not the land value. The construction budget is definitely a right source for finding an appropriate limit of the builder’s risk insurance coverage. This policy can often be written in terms of 3 months, 6 months or 12 months based on the total value of your property. If your building project is not finished by the end of the starting insurance policy term, you can extend it as per your needs. For the wind, fire, theft, hail, lightning, vehicle or aircraft, vandalism and explosion, the building contractors will get the maximum coverage of the risk insurance. But for the employee theft, earthquake, weather damage to the property in an open space, water damage, government action, war, mechanical breakdown, voluntary parting and contract penalty, you will only get the limited insurance coverage. How does this insurance policy work? All the building contractors, sub contractors, project owners and the lenders might take out the builder’s risk insurance policy. This policy holder should have an insurable risk and also the interest in the particular property. In order to move on your insurable risk to get coverage, you must have the building under construction. For getting the insurable interesting, you should own a property or you must have a legal financial connection to the property. All the builder owners and contractors who are in need of getting the risk insurance on their building should know how much this insurance coverage costs. This particular builder’s risk insurance policy usually in the range of 1% to 4% of your total building construction cost. But at the same time, it also depends on the type of insurance coverage and also exclusions mentioned by the policy. In order to get everything protected under your insurance coverage, it is highly necessary to choose the best and trusted Ontario based property risk insurance coverage broker in Canada. The significance of having the solid and trusted insurance firm is that it will accelerate your claims and also help you solve all the potential claims during your building construction process. Some insurance companies may have no deductible on certain types of losses that occur during the building phase but you should always ask your insurance provider for a deductible explanation. Also try to include coverage for non-owned automobiles under your policy as your employees may drive your vehicles for work. You should also be aware that adding any sort of additional coverage may increase the cost of your builder’s risk.